There are plenty of really memorable things to do in Phuket. The island itself has a beautiful historical old town, great viewpoints and iconic cultural attractions. "Racha" means "emperor" in Thai language. The main recreational project of Racha Yai Island is snorkeling. The most famous hotel on the Racha Yai Island is Racha Hotel which is the only five star resort in the island. 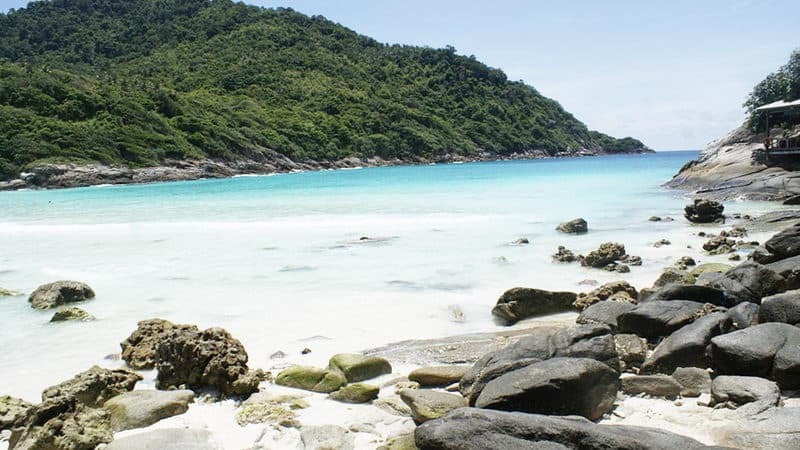 Promthep Cape island is located in the southernmost tip of Phuket Island, which is 18 kilometers away from the city. 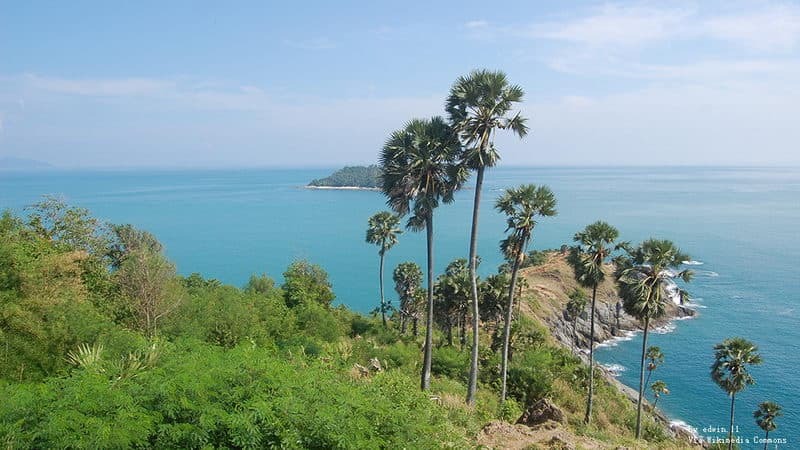 “ Promthep Cape” means "The headland of God " in Thail language. Here is a Erawan Shrine, you can come here to worship it and pray for good luck. Coral Island is named for its rich coral ecology, and it is surrounded by colorful coral reefs. There is beautiful scenery , and it is the best choice for all kinds of aquatic sports. Many visitors like to enjoy the sunshine bath here. 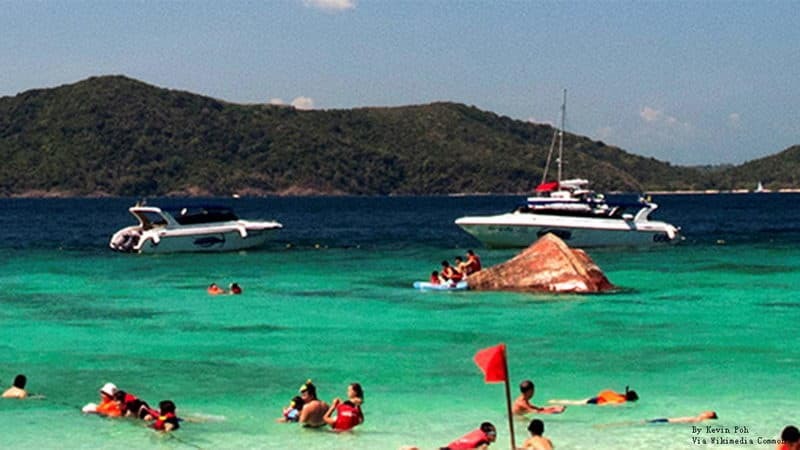 Ko Mai Thon is a small island attached to the southern tip of Phuket Island, located near the northern latitude of 5 degrees, and it is the equatorial zone. In addition to large Coconut forest, there is a dense forest, too. The island is privately owned, so few tourists would come here. Ko Kaeo Island is a famous resort island which is recommend strongly by Thailand Tourism Bureau, and it is also the only dolphin protection zone in Thailand. Ko Kaeo Island is a private beach, and you must pay 600 Thai per person, if you want to visit it. There is only one villa-style hotel on the island, and it has an independent swimming pool. You can catch crabs when it is falling tide. The sand is very soft, white and fine on the island. Koh Lon Island is a quiet and charming island. Beaches, reefs and hermit crabs are very famous here. The sea is clear and transparent, and you can see coral and all kinds of beautiful fish through it. There's only one hotel on the island. Koh Siray island is located in the east of Phuket Town. Its area is relatively large. There is a huge leaning pagoda on the island, standing on it you can overlook the entire view of island. There is an aquarium, and you can enjoy a wide variety of beautiful marine organisms. Phi Phi Island is located in Andaman Sea of the southern Thailand. Thanks to the sea is deep and there are many corals, it is also a diving resort. Phi Phi Island was designated as a Thail national park in 1983. Ton Sai Bay is a dreamy paradise for people. 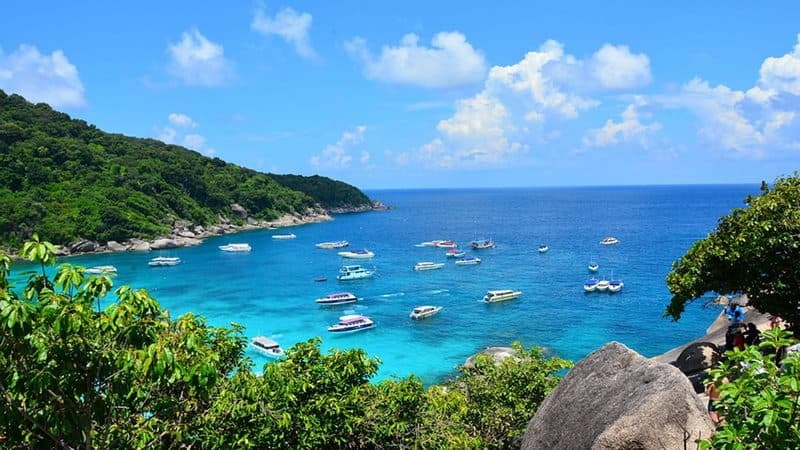 Similan Islands is a Thailand National Ocean Park which is protected by government. Similan Archipelago Islands National Ocean Park is a regional combination of 9 islands. It was officially established in September 1, 1982. These islands are not exploited, showing its primitive and unsophisticated beauty of nature.